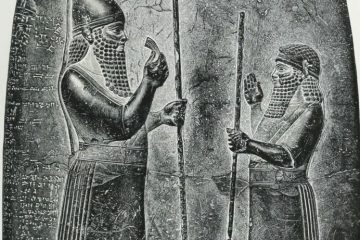 From ancient Sumerian texts, there was a description that our creators came from a yet discovered planet that enters our Solar System ever 3,600 years. The texts said that they were known as the Nephilim, and that they had colonized Earth over 400,000 years ago. The bible also mentions this race, and calls them the “sons of God”. The planet of Nibiru was suffering as it’s atmosphere was eroding, they came to Earth in order to mine minerals (gold) to help repair their atmosphere. This was done in the middle East and is why we find the Great Pyramid and adjacent pyramids in alone with constellations in our Solar System. They created portals on Earth (highly magnetic areas) to send their minerals back to Nibiru. 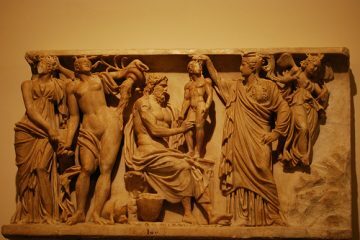 Our race was created around 300,000 years ago as a hybrid race with native Earth animals and the Nephilim to create a race of “workers” to help mine the minerals from our planet. The alien leaders did not like this interbreeding and chose not to warn humankind about the impending doom on Nibiru in 13000 BC that would eventually cause the great flood here on Earth. However, one of the Annunaki takes it upon himself to inform Noah of the impending doom so that he can help avoid the races extinction. 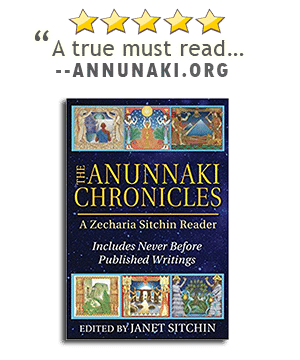 From there, the Annunaki promise to return in time but leave humans alone to rule the planet. The above images shows that in late 2012, Nibiru was in view with our Sun (image and theory courtesy of http://babynuclear.blogspot.com/). In 2002 the 12th planet of Nibiru, physically entered into our Solar System, falling in line with Sitchin’s 12th Planet dialogue. 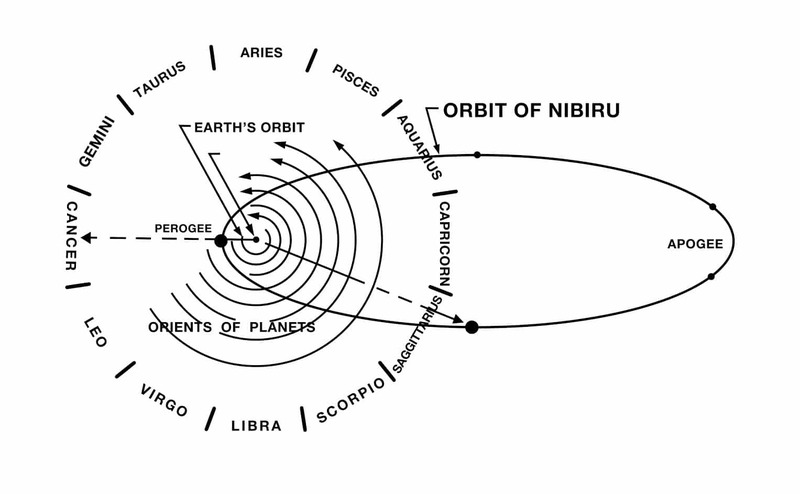 After entering in 2002, Nibiru went on to influence the orbits of the planets in our system, changing their axes and poles along the way. It passed close enough to Earth that it influenced our oceans for several years, eventually leading to devastating tsunamis, a new awaking of volcanoes around the world and influenced definitively the climate and the earth’s axis which slowly moves, thus altering the position of the physical and magnetic poles. Initially, the planet’s orbit came closer to the Earth’s South Pole and the Sun, and was not visible from Earth. But it late 2012, Nibiru’s oblique orbit, which was 35 relative to the solar equator plane, proved to be quite visible and many pictures and videos were posted online questioning this new “star” in our skies. However, no one in the mainstream media were asking these type of questions. Why is that? The short answer is because of NASA. They decided to question the true orbit and return of Nibiru to our Solar System. The US government had urged them that it was required that they deny the existence of Nibiru in order to not cause widespread panic throughout the world. NASA then prepared a very well-built simulation that projected the orbit of Nibiru. Transformed the simulation in video and “sneak” released on the internet. 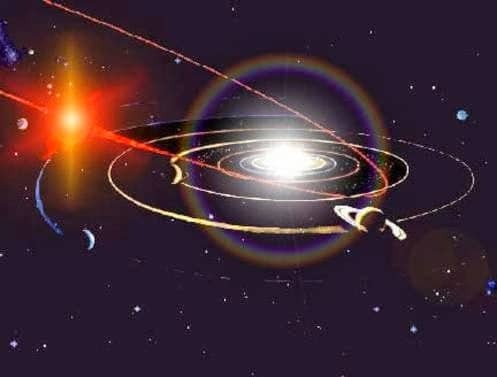 The simulation done by NASA computers presented visually not only the displacement of Nibiru in its orbit, but also the orbits of all the planets of the solar system. The goal of the video was clear for any scholar, confuse everyone with a false orbit path for Nibiru. That goal, was accomplished as everyone thought there was nothing to be seen or any adverse effects for us on Earth. Nibiru, by all definitions, concepts and research scholars in the field, is a red or brown dwarf star that carries along with it seven planets orbiting around each other; therefore it is a Mini Solar System. Nibiru is close to 5 times than Jupiter. So by turn, it is 6500 times larger than the earth! With the gigantic size, it has very strong gravitational pull and it influences our oceans and all magnetic fields. So in 2011, when Nibiru approached the Sun, it began forcefully “pulling” at the Sun’s core. The core of the Sun is only 65 times that Nibiru. Thus, the solar activity in relation to explosions and solar storms has increased so much that the “Maximo Solar” started in 2011 and has not stopped to this day (2014). The emissions are in the ultraviolet solar radiation level (range from 0 to 16) are currently at 15, and the normal is between 9 and 10 units. This was caused by the approach of Nibiru towards the Sun. Keep in mind that the sun also influenced Nibiru! Because of the magnetic and gravitational intensity of Nibiru, it influenced the Sun in a way that it initiated the reversal of its magnetic poles. The same reversal is also happening here on Earth: gravitational pull and magnetic fields. In order to perform this reversal, these two forces acting together are required! This mutual attraction between the Sun & Nibiru increased Nibiru’s travel speed and velocity. In essence, it was “catapulted” with accelerated speed away from the Sun. The process is known as “Slingshot Effect” and was used by NASA to throw the Galileo probe toward Jupiter. The probe passed twice by the Earth’s orbit, then the orbit of Venus. With significantly increased speed was finally redirected towards Jupiter. The gravitational effect of accelerated so much that its contour to the Sun’s orbit will be much longer, but faster than the misleading NASA simulation. Based on this premise, it is our estimate that Nibiru will pass back around us in 2018. On this return, Nibiru will come from the north pole of the Sun and Earth, so it will be widely seen in the northern hemisphere. In this new return, it will be faster than when you came from outer space into our solar system. This distance of Neptune to the Sun is highly convenient for Nibiru, because it needs a certain distance to re-accelerate from again “tangent” to the sun to get to restart the longer orbit of 3600 years.